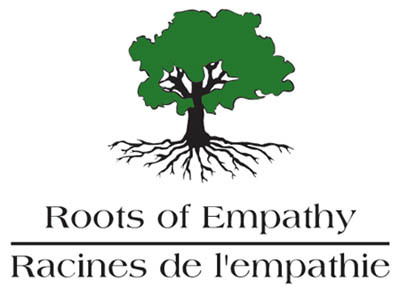 Roots of Empathy is a class-room based intervention program designed to foster empathy in children and young adults, developed by Mary Gordon. After being invited to speak at their third annual research symposium, I was given the opportunity to observe the program in action at an elementary school in Toronto. * The premise is relatively simple, but its implementation is highly sophisticated and carefully thought out. A Roots of Empathy instructor organizes a series of classroom visits for a mother and her young infant (aged 2 to 4 months-old). Over the course of the semester, the students observe this baby grow and develop, with each developmental gain used as a teaching opportunity organized along various themes (e.g., safety, communication). An instructor prefaces each visit with a separate session preparing the students and the week after each family visit the instructor helps to synthesize the lessons learned from the previous visit. Often, children’s storybooks are used to reinforce the lessons from each theme. What was remarkable to observe was just how differently the children behaved once the mother and baby entered the room. Even the most distracted or disruptive child became focused and gentle when given the chance to interact with the child. Normally shy children eagerly read the letters they had written to the baby and seemed unafraid of censure from their peers. It seemed as if their growing sensitivity to the vulnerability of the baby helped to highlight each of their own vulnerabilities, reducing bullying behavior and successfully encouraging empathic responses. What was also fascinating to observe was just how rewarding the program was for all involved, not just the children. Mothers spoke enthusiastically of how great it felt to help out children who are often from disadvantaged backgrounds and to observe the great response these children had to the baby. Teachers felt fortunate to have this program in their classrooms and greatly appreciated the difference it made in their students. And instructors were deeply affected by the changes they saw in their students over time as a result of the program. A colleague of mine who is a developmental researcher even mentioned that he would not at all be surprised if this program also had benefits for the baby, as it provided a unique socialization experience in which so many different children were focused on the child and projecting positive emotions toward him or her. I feel very fortunate to have been able to observe this program in action and was greatly heartened to learn that it has been implemented widely. Currently, the program appears in every province in Canada, in Seattle and Washington in the US, throughout Ireland and Scotland, and even in New Zealand. Despite these successes, the program is still very much a grass-roots organization that relies on successful applications for government funding and volunteers willing to serve as instructors and bring their babies to the classroom. Please consider helping out by making a donation, volunteering to be an instructor, or volunteering to visit a classroom with your baby. I am certain that you won’t regret it. * I am grateful to the Roots of Empathy staff for organizing this visit, and to the principal, teachers, students, instructors, the mother and her child for sharing their experiences with me.